At Amarillo Gear Company, we pride ourselves in the longevity and quality of our products. 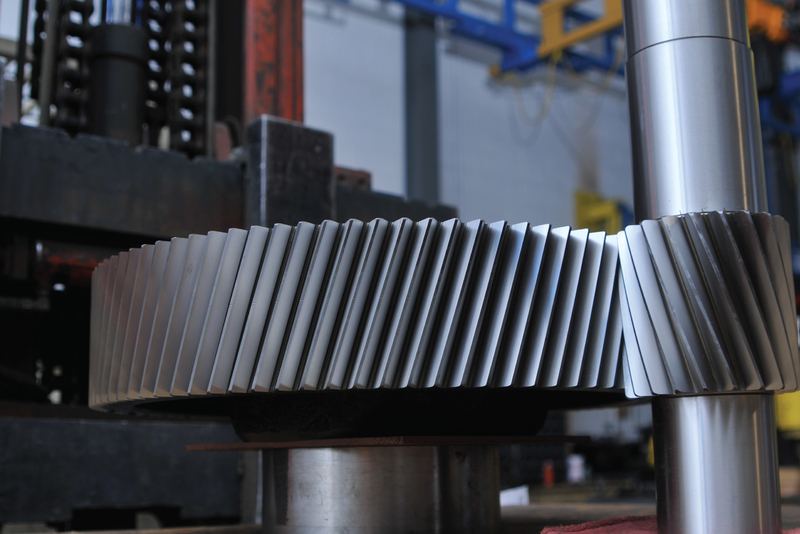 We have been in business since 1917 and have also been manufacturing spiral bevel right-angle gears since 1934. Today, we offer the widest range of these gears in the world. To ensure the highest quality and precision in the gears we manufacture, the Amarillo Gear manufacturing facility in Amarillo holds certification from the International Organization for Standardization (ISO). 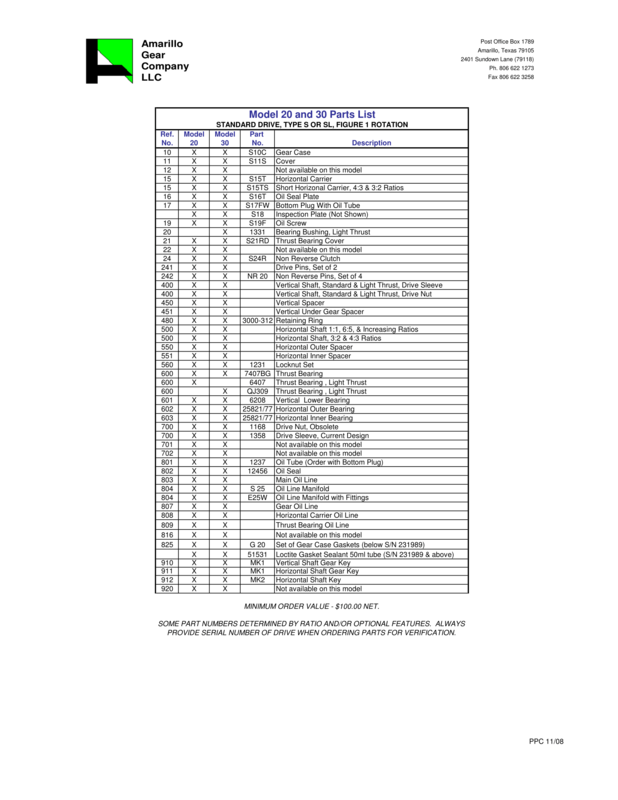 In fact, the gears we manufacture meet or exceed American Gear Manufacturers Association (AGMA) standards. We can exceed standards because we control the entire manufacturing process from start to finish in one location. Our process assures the gears we manufacture are of the highest quality. At Amarillo Gear Service, we are dedicated to the quality of our gears as well as customer service. We know that you depend on your parts arriving on time. 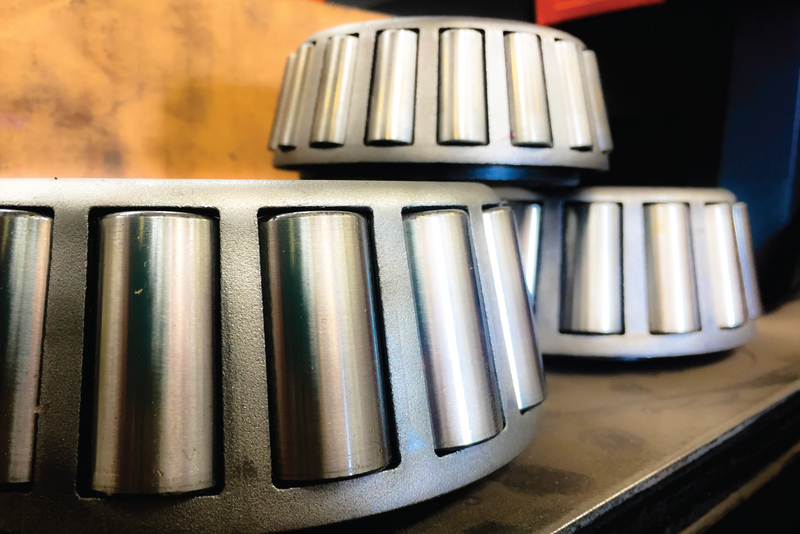 To meet the needs of our clients, Amarillo Gear Service maintains a separate parts inventory that allows us to serve you quickly, giving you the best repair service possible. 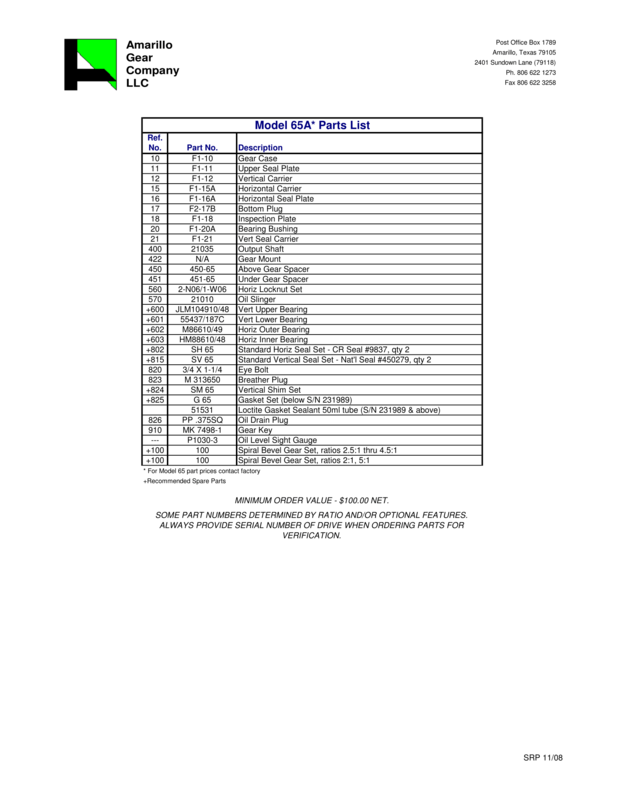 In most cases, we offer next day shipping for standard parts. To make sure our customers experience little or no down time, we have trained Amarillo Gear Service Sales Associates waiting to help. Our staff understands that any downtime means lost opportunities and cost delays for you. Each associate is factory trained and qualified to assist you with all Amarillo Gear products and can quickly identify and resolve all of your parts needs. If you have the serial number of the gearbox available, that will make the process go even faster. Amarillo Gear designs and manufactures spiral bevel gears completely on-site. These gears are specifically designed for fan drive service and we precision machine them from the highest grade 8620 alloy steel. The gears are case hardened, then lapped in pairs for quiet operation. 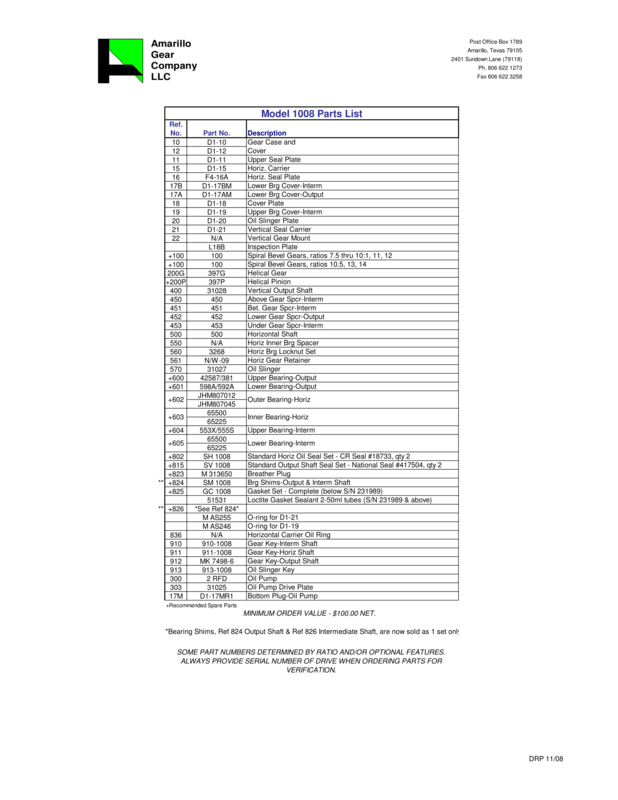 The inventory of spiral bevel gears at Amarillo Gear offers just about anything you need. We offer pitch diameters ranging from 3.5 inches to 24 inches with ratios of 1:1 to 9:1. Besides spiral bevel gears, we also manufacture helical gears. These gears are also designed for fan drive service and precision machined from the highest grade 4320 alloy steel. Helical gears are case hardened, then precision ground to offer low-noise and low-vibration operation. The bearings and seals used on Amarillo Gear products must meet original manufacturer standards. Most of them are supplied by the original Amarillo Gear vendor, ensuring that you get the same performance that you have had in the past. 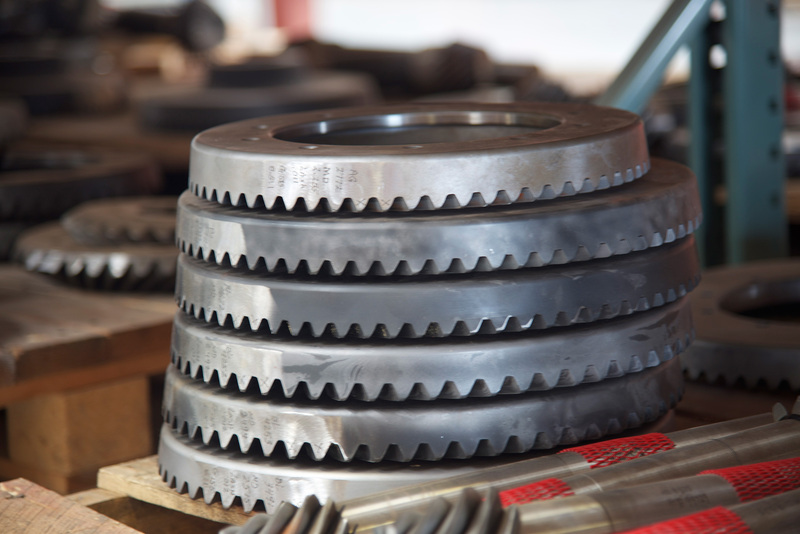 If you need gear parts or gearbox services, Amarillo Gear Service is ready to help you. Give us a call at (806) 622-1273 or Contact Us by email with any of your questions or concerns. View the regions we serve today!